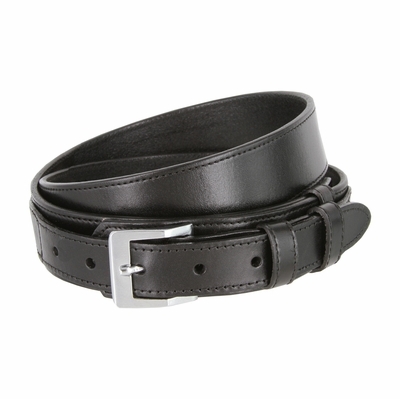 1057401 Smooth Tapered Ranger Belt. 1-1/2" to 1" Tapered Genuine Leather. Comes with Snaps for Easy Buckle Change, Stitched Edges, and 5 Adjustment Holes. Silver Plated Buckle and Leather Loops.